Car dealerships have been marketing sales events from the beginning of…well…car sales. Not a weekend goes by when the newspaper, radio and television aren’t filled with messages from car dealers proclaiming that this is the weekend to buy a car. This has persisted for so long that consumers no longer believe the message. 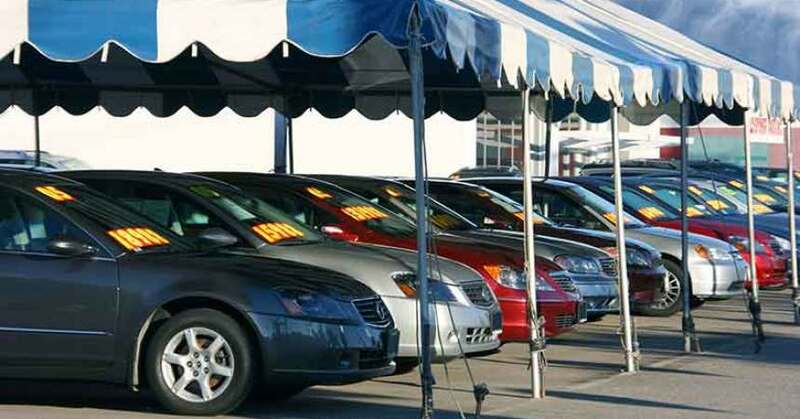 So why do dealerships see good sales weekends during Memorial Day? Why do people stand in line for hours (and sometimes days) to save a little money during Black Friday? Do you really believe they do it just to save $100 on a flat-screen television? The reason consumers line up at Wal-Mart days before Black Friday is because they want to be a part of an event. The retail world has convinced consumers that these are the real days for them to see savings and get good deals. In addition, some simply participate for the sake of participating. It’s in human nature to want to be part of big events. Examples of this are everywhere. Midnight showings of huge movie premieres like Star Wars attract fans across the world to stand in line for weeks. Apple releases a new iPhone® and people start camping out far in advance. Car dealerships’ continuous marketing of “the big sale” every weekend hurts the credibility of the event. If the consumer doesn’t believe the message, they will simply shop for a vehicle when they are ready to or wait for what they perceive as a real sale that they are anticipating over the next holiday weekend. So how does a car dealership hold a true sales event that not only creates a sense of urgency for the customer, but also motivates others to attend by using their own natural desire to be included? One solution is to make the event seem so big that a customer is convinced this is the time to buy. You can accomplish this by creating a real event. Simply advertising a sale isn’t going to convince a customer that you’re actually having one. You need to think big and deliver that message to your customer in every way possible. An omni-channel marketing approach including direct mail, email, and digital ads targeted to consumers most likely to be interested is imperative. If the timing of your message isn’t right, you only increase the likelihood that they won’t pay attention when it is. The use of analytics in choosing whom to target is of extreme importance. You will find better results sending messages to the right 3,000 customers than blasting your message to 20,000. It will also save you money. One of the most important, and neglected, aspects of holding a successful sales event is getting buy-in from staff. Dealership salespeople can get just as immune as potential customers to redundant sales messages. For a customer to get excited, the salesperson must be enthusiastic and convinced that the sales event will offer real value to the customer and isn’t just another weekend “big sale.” Management must be able to convince the salespeople that the event is really an opportunity for the customer to have an experience above and beyond a normal day. If done successfully, the customer will feel the salesperson’s excitement, and a sense of urgency will be much easier to create. Don’t neglect the power of social media to help generate buzz around your event as well. Pre-event marketing is essential, but what most dealerships forget is to market during the event. Posting real-time content can easily drag someone off of their computer and to your dealership. You can also integrate social media into the event. If you’re doing test drives, have a video camera in the car. Ask customers for real-time reviews. Your goal is to make the event exciting and attract attention. Ask people to check-in at your dealership on Facebook. Solicit Facebook page “likes” and incentivize tweets about the event from the customers on your lot. Those customers’ social networks will contain a large percentage of people in your PMA who will see this activity. Keep in mind that to pull this off, you can’t do this every weekend. Events should be planned and timed properly to succeed. With the right planning, message and marketing, however, you can create your own sales event that your community will not only recognize, but also anticipate and, perhaps, even line up to buy a car. Misti Miller is Vice President of National Accounts for J&L Marketing. She oversees all activities as they relate to OEM relationships as a preferred vendor with BMW, GM, Mercedes-Benz and MINI, delivering marketing strategies and solutions for national and regional programs, campaigns and events.